The Low Country Boys from east Co. Down, Northern Ireland, have just released their latest gospel CD, 'No lang tae go'. The sixteen tracks include familiar material such as 'Rock of ages', 'Angel band', and 'Shield of faith' along with original tunes and songs: the four instrumentals include a banjo tune, 'Granda's 35'. Several songs and the final spoken track, which retells the story of the prodigal son, are in the Ulster Scots tongue. The CD notes include many old photos of life in the 'Low Country' of Co. Down. Gibson Young (banjo, guitar) and Ivan McFerran (electric bass, mandolin, fiddle) are joined by guest musicians on flute, snare drum, pipes, and guitar. Since the recording, the band has been augmented to a three-piece with dobro guitar; details are on the Low Country Boys blog. The CD can be bought online or from selected shops, from the Belfast News Letter newspaper, or at Low Country Boys concerts. Mark Thompson and his brother Graeme Thompson, formerly mandolinist and guitarist with the Low Country Boys, have been playing since late 2008 as the Thompson Brothers in traditional close-harmony brother duet style. An album's worth of free downloads is scheduled for release this spring, with packaged CDs available at cost price. On the search to make the blog more easy to work on, a new address has been installed, where news for the European Bluegrass Blog may be posted to. Anything sent to blogebma.news@blogger.com is saved as a draft to be reviewed and posted on the blog by one of our editors. If you send along pictures, they have to be sent as an attachment, pictures included as html won't make it into the post. Bluegrass in Belgium announces - with apologies for the short notice - that the Sons of Navarone are playing TONIGHT in the Barok bar, Brusselsesteenweg 49, 1860 Meise, Belgium, starting at 21:30. The above photo of the Sons (l-r: Thierry Schoysman, Benjamin Steegen, Eugene O'Brien, Guido Bos) was taken by Jan de Mooy at the EWOB Festival 2009 and was published on the Bluegrass Blog yesterday. Raymond McLain (banjo), Tom Gray (bass), and Jean-Blaise Rochat (guitar) on stage in JB's Band at the EWOB Festival 2009 in Voorthuizen last week; just one of sixteen photos by Jan de Mooy which can be seen on the Bluegrass Blog. The Festival website also has two pages - for the public and for musicians who took part - where 'fan mail' messages of appreciation are posted. Send in your message by e-mail. The American Made Banjo Co. of Stoneham, Mass., USA, announces that Charles Wood (USA) - who will be one of the instructors at the 3rd Annual Banjo Camp in Munich, Germany (8-11 October 2009) - is now one of their featured artists. Charles Wood has won the titles of Georgia State Banjo Champion (1992), Merlefest Banjo Champion (1998), Winfield National Banjo Champion (1999, 2006), Renofest SC State Banjo Champion (2004), Rockygrass Banjo Champion (2005), and Ossipee Valley Maine Banjo Champion (2007). His banjo (see photo), built by Robin Smith and set up by Charlie Cushman, is a custom-built Tiger Maple New Generation Style 11 Series 5 String Kel Kroydon® Banjo, with hand-picked presentation maple wood, a 20-hole Dannick tone ring, nickel-plated hardware, and a radiused fingerboard. The American Made Banjo Co. will be delighted to sell a similar banjo ($3,499). For more information & availability call or write Tom Mirisola or Charles Wood. Just for fun, I put together Bluegrass on the Tube, a free website that is designed to promote bluegrass music among bluegrass fans and 'friends' of bluegrass fans. The website currently has over 250 videos in the library, representing a wide variety of artists and styles of bluegrass. New videos are added weekly. In addition to direct access to the entire library, I have incorporated a Subscription Service, also free, which delivers a new video each day (no spam, easy opt-in, easy opt-out). Hopefully this new website resource might be of interest to your membership community. Please take a look. Give it a try. I would appreciate your feedback. Carl adds that several of the videos on his website were shot at European venues (including the Appalachian and Bluegrass Music Festival at the Ulster American Folk Park, Northern Ireland), and one is from Japan. 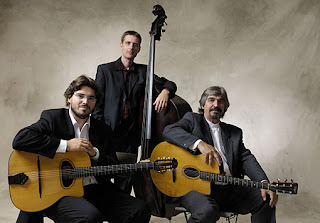 In its 2009 concert series, the New Acoustic Gallery in Solingen, Germany, will present the Joscho Stephan Trio and Richard Smith on 2 June at 20:00; tickets €20 VV, €25 AK. The Joscho Stephan Trio, whose four CDs and one DVD can be bought at the Gallery, have played in concerts throughout Europe and the USA. Joscho Stephan is leading a new generation of virtuosic innovation in gypsy swing. And if you have the EWOB 2009 Guide supplied free to every EBMA member, you already know that scores of bluegrass events are taking place throughout Europe during the 'EWOB Month' - Europe's part in International Bluegrass Music Month. But if you're not in either of these happy positions, the EWOB Festival programme is available here, and the schedule of events for EWOB Month here. Who knows what you may be missing? You can e-mail me or visit our calendar for more details. Feel free to call if I don't reply promptly: office +1 952-888-9710, cell +1 612-275-6602. A visitor of our website from the Rio Grande do Sul state (South Brazil) has informed me last week that he has initiated a Wikipedia page in Portuguese for the 5-string banjo ('banjo 5 cordas'), and he invited me to join the effort for additional input on this fabulous global encyclopedia scenario. One of the features he started is a list with 19 banjo-pickers from Brazil and showing only 2 pickers from USA (Earl Scruggs and Bela Fleck). So for this 'underrated' US banjo picking statement I have today inserted immediately Steve Martin, taking advantage of his current media exposure with his new Rounder CD The Crow. I have also added 3 additional 5-string book references (Earl Scruggs, Tom Hanway, John Bullard) to his initial four books referenced (Wernick-Trischka, Nickerson, Sandberg, Siminoff). So this is just the beginning, wait for more! 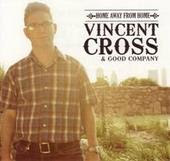 The International Bluegrass Music Association has recently published its reference list of bluegrass recordings eligible for nomination for an award, compiled from product reported as released between 31 March 2008 and 1 April 2009. The list includes the latest CDs from two European bands: Tutte le direzioni by the Mideando String Quintet (Italy), #1 European Bluegrass Band 2006, released on the Velut Luna label; and From Vyborg to L.A. by Jussi Syren & the Groundbreakers (Finland), released on Goofin' Records. This list does not necessarily contain 100% of the bluegrass recordings first released during the eligibility period, so members are not restricted to the entries on this list when making their first ballot write-in nominations. This CD supports, specifically, the fight to save the over 30,000-year-old stone engravings (petroglyphs) on the Burrup Peninsula. These are threatened by the settlements of companies wishing to mine for gas and plutonium. About a quarter of them has been already destroyed. For this reason a portion of the proceeds raised from the sale of this CD will be donated to FARA (Friends of Australian Rock Art). To get more information go to the FARA campaign website. To get more information on the CD or to listen to some sound files, please go to my website and then to the section 'CDs & Books'. You can also order the CD at the German version of Amazon. Or just contact me. Update 19 May: Andy (who is learning clawhammer banjo and will tour Mexico with his banjo in October) reports that a video of one of the songs from the new album can be seen on YouTube. On 9 May 2009 at the 10th Spring Bluegrass Festival Willisau, in Switzerland, Paolo Dettwiler and Angelika Torrie, of the Swiss Bluegrass Music Association and founder members of the EBMA, publicly presented two bottles of whiskey to Walter Fuchs, organiser of the Bühl Festival. The bottles were gifts to Walter and to the city of Bühl from the organisers of the European Bluegrass Summit, as a token of gratitude for their assistance in making the Summit possible. Walter reports that Herr Hans Striebel, mayor of the city, has expressed his thanks for the gift; and says that holding the Summit in Bühl 'helped us to establish this city as a strong and reliable outpost for bluegrass music'. Attendance at the 7th Bühl Festival - the first to extend over two days - was 1200, a 50 per cent rise over 2008, with public TV and public radio present for the first time. On Sunday 20 September a one-hour report at 11.00 p.m. about the festival, with live recordings on the SWR2 cultural channel, will be broadcast. Bühl city council will give the same level of funding to next year's event, which will be on 14-15 May 2010. A report (in German) by Friedrich Hog on the Bühl Festival can be read here. The First Pijnackerplein Bluegrass & Country Festival will be held at Pijnackerplein, in the Oude Noorden part of Rotterdam (NL), on Saturday 11 July 2009, from noon to 10.00 p.m., followed by an afterparty in the Cafe de Bel nearby. Bands from throughout the Netherlands will perform on the picturesque bandstand in the square, including the Blue Grass Boogiemen, Hillbilly Stringpickers, and Ranch House Favourites. A special programme for children will be held till 4.00 p.m., with pony-riding, lassoing, horse-shoeing, and much more, while the Uke Box give a workshop for anyone who would like to learn to play an instrument. Barbecue will be served! Thanks to Guido de Groot for the news. The poster (above) and many more details can be seen on the Festival website. Update 18 May: An English-language text is now available on the website: click on the Stars and Stripes symbol on the home page. Besides playing a great show, what is the most important thing you can do at EWOB? VOTE! It is up to YOU to choose the #1 European Bluegrass Band 2009! The European Bluegrass Band Awards are the only major music awards decided BY THE MUSICIANS - not by a regional audience or a jury of 'experts'. It is one of the things that makes the EWOB Festival really special - this is an event entirely for the musicians. YOU are the experts on European bluegrass. No one else should decide the winners in a competition like this. Musicians should own the future of their music and decide its direction. You are not voting 'against' anyone - you are voting for European bluegrass to have a strong champion again this year, and it is a vote of pride! The band you choose as #1 European Bluegrass Band will represent European bluegrass to the rest of the world for one year, and will go to Nashville to play at IBMA's World of Bluegrass the following year. Make sure it is a band that makes you proud! Full details are on the EWOB Festival website at Band/Musician FAQs and European Bluegrass Band Award FAQs. The full text of the committee's message is here. Thanks to Rainer Zellner, of Roots Music Booking and Production in Tübingen, Germany, for news of the Green Party TV promotion for the forthcoming elections to the European Parliament (4 June). The video shows the collapse of a small American family home, initiating the collapse - like rows of dominos - of banks, businesses, currencies, etc. all over the world. But the soundtrack is bluegrass! See the video here. Cor and Margaret Sanne of CMS Productions, the Netherlands, report that all seats have now been sold for the concert by Audie Blaylock & Redline on Wednesday 8 July in the Turfschip, Zuideinde 15, Nieuwkoop (NL) at 20.00. Also appearing will be country singer Dawn Sears & band (Vince Gill, the Time Jumpers). Other dates played by Audie Blaylock & Redline on this side of the Atlantic remain as shown on the European Bluegrass Blog on 15 April. The band's current e-newsletter can be read here. Lilly Drumeva reports that the US embassy in Sofia, Bulgaria, presented on 13 May an evening of American blues and country music with Lilly of the West and Texas blues legend Steve James (left). Sherry Keneson-Hall, cultural attaché at the embassy, opened the show at 7.00 p.m. with a speech of welcome. Lilly of the West, just back from a Swiss tour, played some of their new repertoire featuring Yasen Vasilev (guitar), Ivan Penchev (fiddle), Michail Shishkov (upright bass), and Borislav Bojadjiev (percussion). Steve James performed songs from his new album, Short blue stories, accompanying himself on Dobro guitar and resonator mandolin. Both acts joined to end the evening on a high note with 'I’ll fly away' and 'The Tennessee waltz', to rousing applause. Read Lilly's full report, with photos of the event, here. Yesterday the original Bluegrass Blog added a post entitled 'Steve Martin and SCR in LA'. No, it doesn't mean that Strictly Country Records, major sponsors of the EWOB Festival, are opening up a new California operation; nor does it mean that Pieter Groenveld is at last taking his rightful place as a world-class comic actor. 'SCR' on the Bluegrass Blog stands for the Steep Canyon Rangers of North Carolina, who were on the cover of Bluegrass Europe #66 earlier this year, and will be part of the Bluegrass Jamboree travelling festival, organised by Rainer Zellner's Music Contact Agency, in December 2009. Read the whole story here. Please contact relevant concert phone number for timings, pricing and ticketing. Following the news of the Banjo Jamboree at Čáslav, which appeared on the European Bluegrass Blog on 5 May, Lilly Pavlak sends these photos of the beautiful setting in which Europe's oldest bluegrass festival is held, taken at last year's event. More of Lilly's photos from the Banjo Jamboree can be seen here. The organising commitee of the Jamboree 2009 (29-31 May 2009) in Strakonice (CZ) is maintaining and developing the festival's successful approach of presenting a wide range of performers in bluegrass, country music, and related genres, in the unique ambiance of the medieval castle and the Open-Air Cinema. Reconstruction has been completed in the past year, opening up the area for improved access and facilities. Once again, audio-visual presentations will be used during the shows, including recorded interviews with well known musicians, performances by top groups and soloists, as well as a relaxed version of product presentations and advertisements. Live filming by stationary and mobile cameras will 'look under the fingers of musicians'. This year's programme will also offer a review of the last seventeen years of bluegrass at Strakonice. Events begin at 4.00 p.m. on Friday 29 May, with a concert of 'Music of the Isles', focused on Celtic music. 'Bluegrass Session no. 9' will present a three-hour concert by great bands from all over the Czech Republic and abroad. As well as the leading bands and rising artists from the powerful Czech scene, the Saturday concert will include as a highlight the G2 Bluegrass Band from Sweden (#1 European Bluegrass Band 2007) and New River Train from Austria. The full programme can be seen here and on the Jamboree website. John Sheldon reports that the Scottish Bluegrass Association have just completed a ten-date UK tour for Gold Heart (USA) [see the EBB post for 14 April], who sold out at each of ten venues. Jens Koch of G2 (Sweden) played banjo with the band. A special high point of the tour was Gold Heart performing a 'bluegrass in the schools' concert (see photo above) on the SBA youth programme. Arrangements are now being completed for five mid-May dates in the UK for Laurie Lewis & the Right Hands (USA). 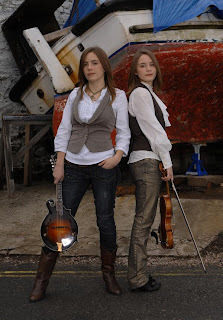 The SBA's annual Guildtown Bluegrass Festival (31 July-3 August 2009) is now teamed up with Southern Fried, a festival of Americana and roots music in nearby Perth, east central Scotland. The headline band at Guildtown are the Midnight Ramblers (USA), another brilliant young band. For more information on the Scottish scene, check out the SBA website. Update 8 May: a video from the Goldheart tour, and a report by the band on their 'awesomely insane' (in a good way) experiences, can now be seen on the original Bluegrass Blog. Randy Waller & the Country Gentlemen played a successful concert in La Roche-sur-Foron. Our second indoor, paying concert outside of the festival itself (after Peter Rowan in October). It is interesting to see how the traditionally non-bluegrass concert-goers of La Roche have taken to bluegrass music and musicians. It is a rewarding experience taking bluegrass music to new audiences. Don't forget the Grange Rouge bluegrass and French folk weekend 'Trad en Fête' on 13-14 June. Bluegrass festivals take place almost every weekend in the Czech Republic during the summer season, including Europe's oldest bluegrass festival, the Banjo Jamboree at Čáslav, which will be held on Friday 19 June and Saturday 20 June. Twenty-four bands will take part in the band contest on the Saturday morning - these are winners from the regional contests held at Nový Jičín and Chomutov in April, and at Sloupnice and Bratislava in May. The winning band at Čáslav gets a spot on the main stage at the Saturday afternoon concert, a guaranteed spot at EWOB 2010, and free membership of the EBMA. The full Čáslav concert programme and other details of the festival - including workshops, location, and accommodation - are on the Banjo Jamboree website. The May 2009 issue of Bluegrass Unlimited magazine carries an article (pp 38-42) by Erin Faith on Red Wine - premier bluegrass band in Italy, in the front rank of bands throughout Europe, and highly respected in the USA, where they have toured since 1995. The article - 'Red Wine: European ambassadors for bluegrass celebrate thirty years' - frequently quotes RW banjo-player Silvio Ferretti, and incorporates a report by Silvio on the Red Wine Bluegrass Party, with Tim O'Brien as guest of honour, which the band held in February to mark their thirty years together (see the European Bluegrass Blog for 20 February). International Bühl Bluegrass Festival - another big success! The 7th International Bühl Bluegrass Festival was a hit. It drew 1200 attenders on two days (1-2 May) to Bühl’s Bürgerhaus Neuer Markt. The bands - Wayne Henderson & Helen White (USA), the Looping Brothers (Germany), Crooked Still (USA), Nugget (Austria), Laurie Lewis & the Right Hands (USA), Randy Waller & the Country Gentlemen (USA), and the Moonlighters (USA) - did their best to entertain an enthusiastic audience. On Saturday morning Nugget and Laurie Lewis with her band entertained hundreds of people in Bühl’s pedestrian zone. Another big promotion for bluegrass music. Also at different places throughout the city, amateurs from Switzerland, France, and Germany did ad hoc jam sessions. Visitors came from all over Europe especially from Switzerland, France, and of course from Germany. Some even came from the USA. A lady was detected who was born in Nashville. For the very first time TV and radio were present to produce interviews and musical spots. At the end of the second Festival day, when all bands congregated on stage to play three numbers all together, Walter Fuchs, the event producer and MC, was mighty happy. Many more photos by Klaus Zimmermann are on the Festival website. The fourth Coastline Bluegrass Music Event, in north Wales, will include extended workshops for all the acoustic bluegrass instruments, starting with an introduction to bluegrass for beginners and those who have come from other genres, right through to the advanced levels. The workshops will be given by experienced teachers from among the bands performing at the Festival. Headliners at this year's Event are 4 Wheel Drive (NL/D/BE), with the Toy Hearts (UK), Chill Until Blue (UK), and the Jay Walkers. A promotional video for this year's Event (5-6-7 June 2009) is on YouTube and MySpace. A gallery of pictures from last year's Event can be seen here. A full press release is here. Among British newspapers, the Event has appeared on the Guardian's list of Top Ten UK Folk Festivals and the Daily Telegraph's lists of Top Ten Festivals for 2009 and Best Events for the summer of 2008. UKBluegrass.com ranked the Event as one of the favourite festivals in 2007. Ugly Buggy Boys (right), whose music has been called 'the Hard Rock of the 20s, or possibly the Western Swing of tomorrow', and whose new album, Aloha, is now available; and Papy Blues. And for the first time, the Festival presents a full Mariachi band - Viva Mexico (below). A full press release is here. More details and information, including video footage, are on the Festival website. The poster for the Festival ('un festival pas comme les autres') appears below; click for a larger image. Jerry Harmon's latest European tour begins on 2-3 May in Co. Donegal, Ireland, when he tops the bill at the Kilcar Folk, Blues and Bluegrass Festival. His subsequent dates in Ireland during May are shown on the Bluegrass Ireland Blog. He will be performing in England at the Bath International Music Festival: on 28 May at the Rondo Theatre (8.00 p.m.), and on 29 May at the Pavilion, on stage with Dr Ralph Stanley & the Clinch Mountain Boys (8.00 p.m.). Thanks to Dirk Steitz, European representative of the Bronitsky & Associates agency, for this information. Inquiries about booking Jerry Harmon should be sent by e-mail.